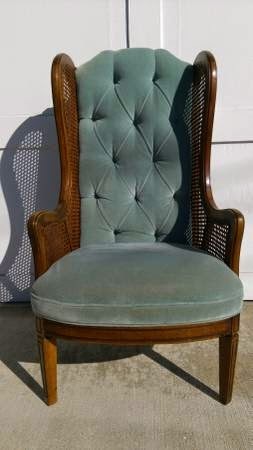 I have been on the hunt for vintage chairs with cane features! Cane chairs are having a major moment in design right now, and I am totally on the bandwagon. Adding a vintage element to even the most modern room design can add so much character to a space. I love the juxtaposition of old and new together. Rooms just feel more "collected" that way. I have my eye on some options for various rooms in our home. 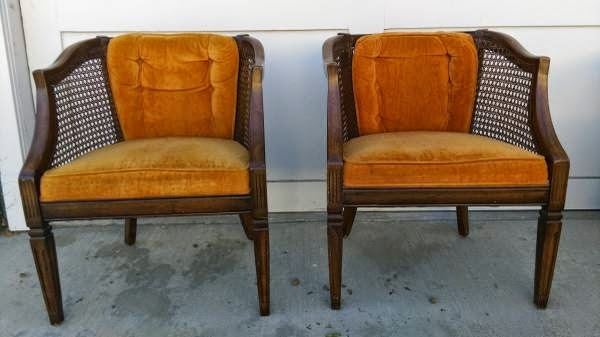 Can you imagine these chairs reupholstered with new modern fabric? They are fine as is, but I'd jazz them up with a bold print. 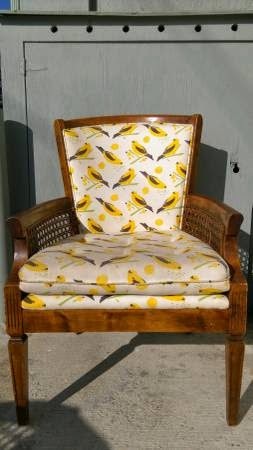 When looking at vintage furnishings, ignore the upholstery - that can be easily changed! I focus on the lines of the piece, the condition of the framing/wood, and in this case, the condition of the caning. All of these options have a fairly traditional aesthetic, but if reupholstered in a modern fabric, the chairs would take on new life! Do you like to incorporate vintage finds in your interiors? 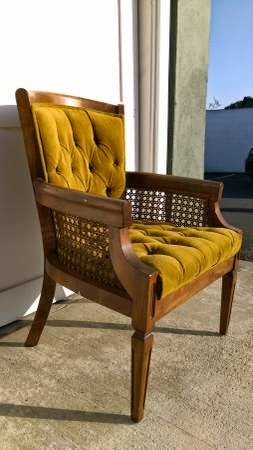 When on the hunt for vintage treasures, some of my "go to" online options are Craigslist, Etsy, and eBay. There's also Chairish, 1st Dibs, One Kings Lane, etc., but those sources are often above my current budget. Some antique markets also have online stores, so I usually do a search of local antique stores (but am usually redirected to an Etsy site). 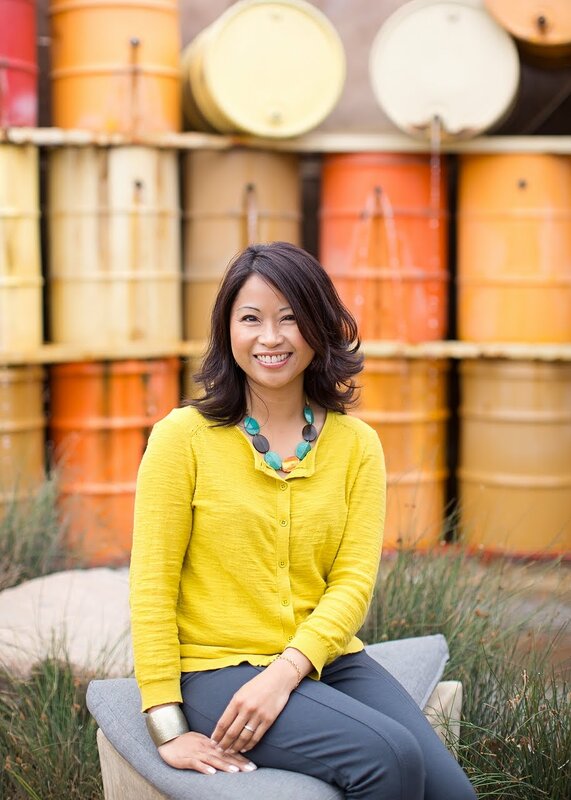 In person, I like looking for vintage furnishings and accessories at thrift stores, antique markets, and local boutique shops. The big flea markets are also good resources for vintage finds (Rose Bowl flea market if you're in the So Cal area).